No one is better equipped than your Central Texas Acura Dealers to get you the luxury vehicle you need. Thanks to the Acura Advantage leasing program, it’s easier than ever to get the high-quality driving experience that you deserve. By leasing with a Central Texas Acura Dealer, drivers near Austin, San Antonio, and San Juan can get behind the wheel of a brand new vehicle for a fraction of the cost that they might pay elsewhere. Don’t settle for a car that doesn’t excite! Stop by one of our Central Texas locations today and check out our available lease options. Do you have questions about the Acura Luxury Lease? Let us know. 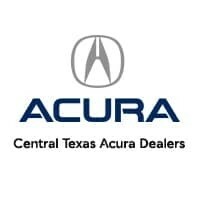 Contact or visit a Central Texas Acura Dealer near you to learn more.